Lovers of fine art jewelry throughout the world collect handcrafted jewelry pieces designed by artist Ann O'Brien (1951-2006). 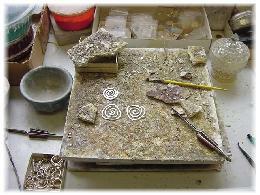 Working in her jewelry studio in Abita Springs, Louisiana, Ann O'Brien was one of the industry's premier "studio" jewelry artists. 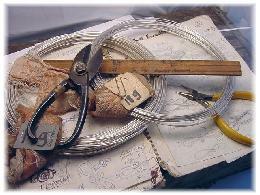 For over thirty years her designs inspired numerous jewelers and collectors. 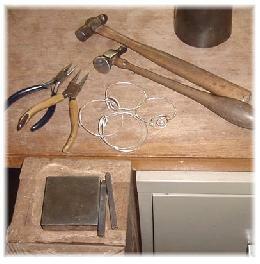 Each piece of jewelry collection is completely handcrafted in her original Abita Springs studio. Throughout her career as a jewelry artist, Ann displayed her work at numerous exhibitions, galleries and museums nationwide. Her beautiful work is often described as Art Nouveau with a 'twist'- the jewelry is twisted by hand, without the use of special jigs or molds. Today, her designs are still created by a team of artians in her original studio. To read more about Ann, CLICK HERE.